Originating from a precious gemstone, the color Emerald has been associated with the elite for centuries. Ancient cultures have used it to represent healing and new life. “Green is the most abundant hue in nature – the human eye sees more green than any other color in the spectrum,” said Leatrice Eiseman, executive director of the Pantone Color Institute®. The Pantone team has searched the world for color influence from entertainment to upcoming artists. The result of this careful search is a color which will not only liven up color palettes in the spring, but also will compliment the tones and hues of fall and winter. A painted Emerald entryway elegantly displays the hue while pillows and accents displayed in the jewel-tone introduce a lively pop of color to any space. 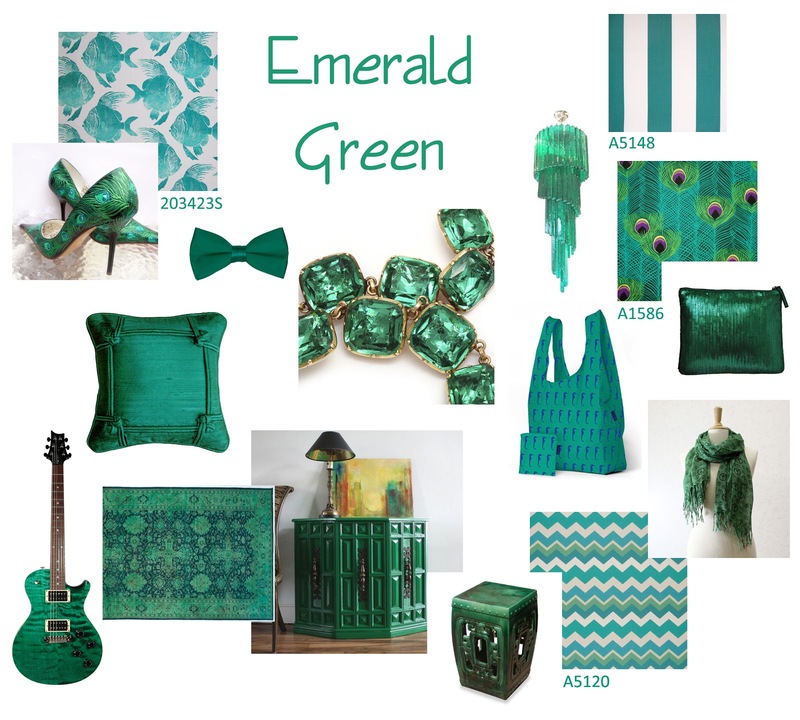 Emerald Green in its radiant glory will be seen in our gallery books, color books and in many of our web collections. The newest patterns and freshest colors will saturate all of our fabrics as we provide you with new fabrics every single month of the year in 2013!